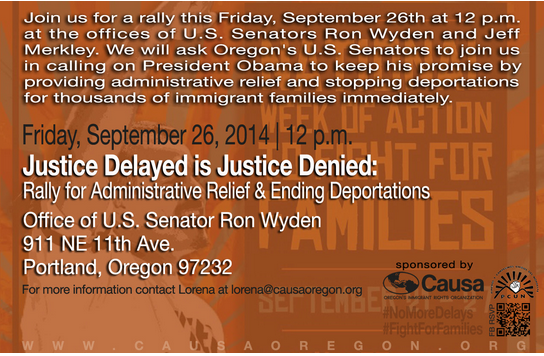 Join Causa Oregon , ILG, immigrants, and allies as we rally for administrative relief and an end to deportations this Friday, September 26th, at 12pm. The United States’ refusal of protection to thousands of immigrant refugees is unjust and inhumane. This Friday, come to tell the U.S. Government that you believe in fair trails and swift humanitarian action! Are you or your family in danger of deportation? Learn more about your options with this toolkit by The Women’s Refugee Commission .